The insurance industry, and the world, is undergoing dynamic change – Travelers is no exception. We recognize the skills that are critical to our success in a global economy and the overwhelming importance of acquiring a cross section of people whose ideas and views are represented across our company. Diversifying your workforce requires accountability, the commitment of your people and an unwavering tenacity. At Travelers, we are dedicated to these tenets of Diversity and Inclusion, and we have challenged ourselves to be innovative and to push through boundaries in order to open avenues across race, color, religion, gender, gender identity, age, national origin, disability, veteran status, marital status, genetic information and sexual orientation. Some of our programs, like military hiring, have long standing roots. 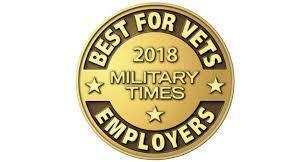 For over ten years, Travelers has partnered with organizations such as American Corporate Partners, a transition mentoring program, as well as Academy Woman, Military Officers Job Opportunity Career Conferences and Veteran Recruiting Virtual Career Fairs all of whom have helped lead the way to identify talent from the armed forces that will continue their successful missions with our company. Others are grass root movements that have been inspired by our Diversity Networks, such as our recent efforts in proactively hiring people with disabilities. Starting with internal awareness, we have thoughtfully partnered with external state agencies and colleges to create job shadowing opportunities, internships and job training placement programs that serve the needs of candidates across a wide range of disabilities including individuals with Autism Spectrum Disorder. Of course, investing in our future workforce is never overlooked. Travelers recruits at over 120 Colleges and Universities and is actively engaged with student groups and first generation programs on campus. We leverage a myriad of organizations that help us to reach talent including Grace Hopper, Hartford Promise, Inroads, Gamma Iota Sigma, SheHacks, Posse and InVEST. We are also proud to help place student from our EDGE Scholars Programs throughout our organization.